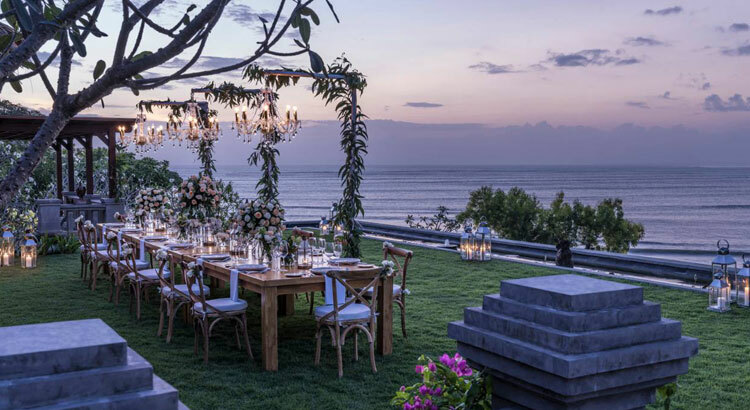 Become one with Bali’s magical energy and gentle nature. 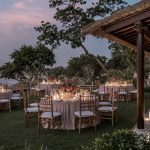 Sheltered in a calm bay with three miles of sand, Four Season Jimbaran’s breezy villas channel an authentic Balinese village. 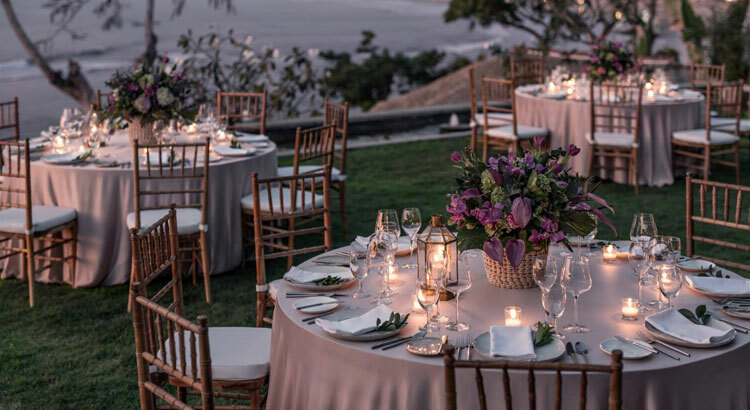 Together with unforgettable views and authentic arts offerings, they bring you a deeper understanding of the island’s stunning landscapes and inimitable culture. 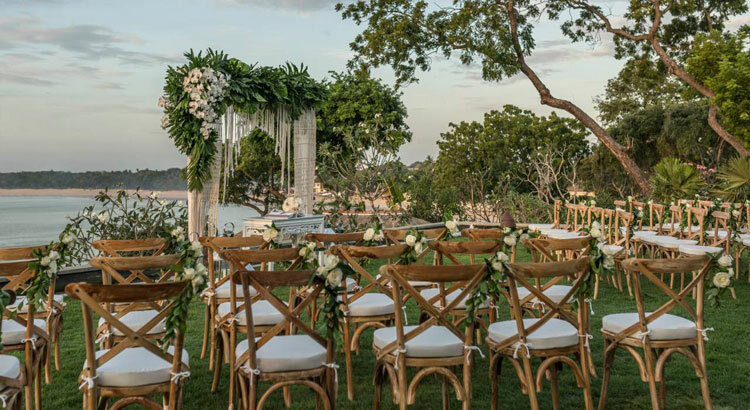 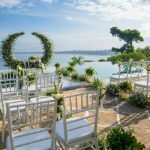 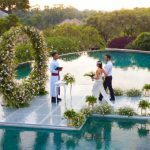 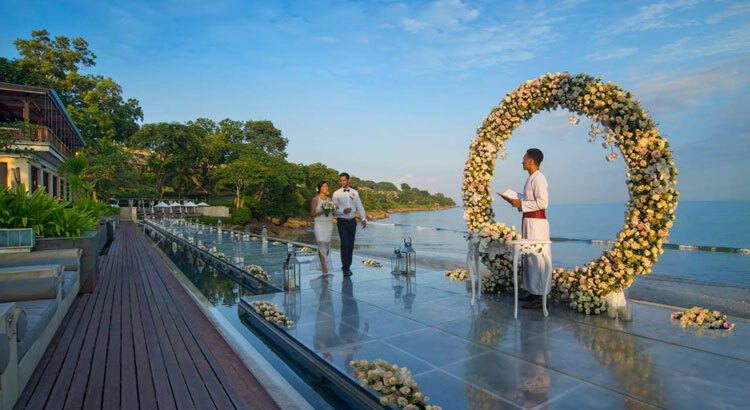 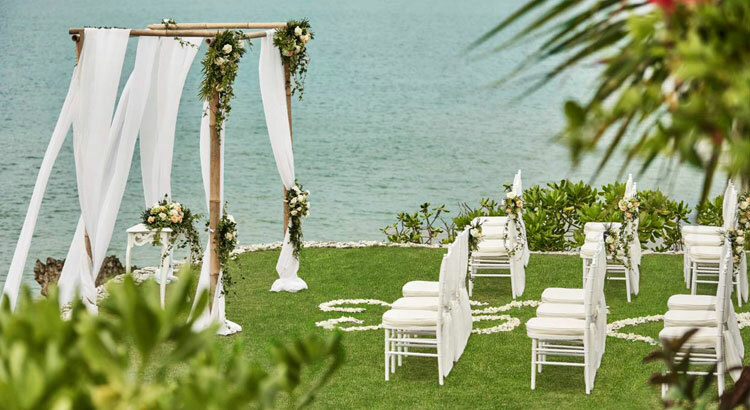 A spectacular venue for celebrating your union, Jimbaran Garden is perched on a hill overlooking the majestic Indian Ocean. 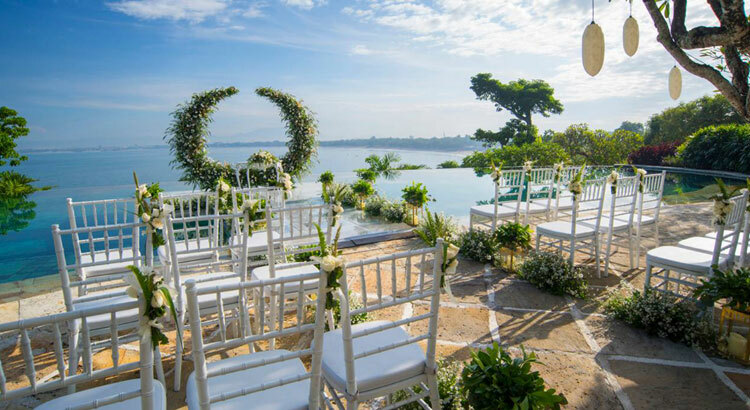 Infinite blue skies and breathtaking views create a fairy-tale setting for your wedding. 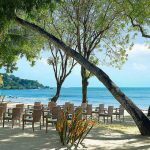 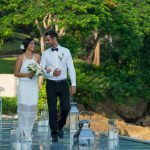 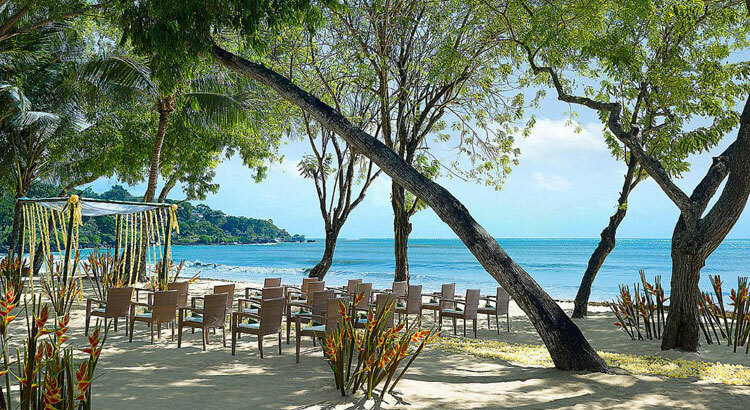 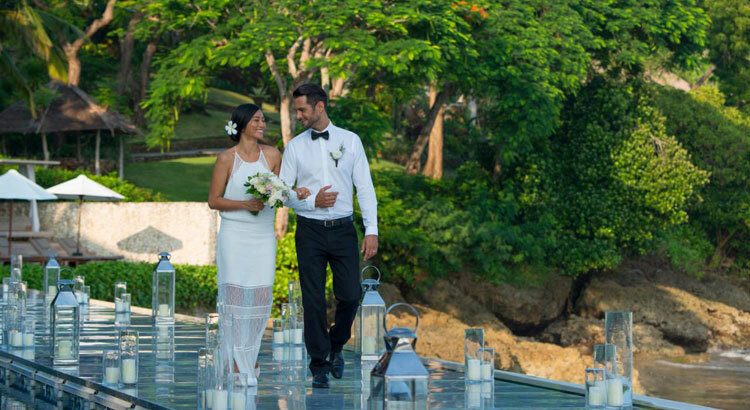 Your own private island on the edge of the shimmering Indian Ocean offers uninterrupted panoramic views and a sandy cove that’s picture-perfect for sunset wedding portraits. 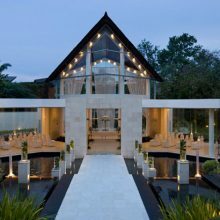 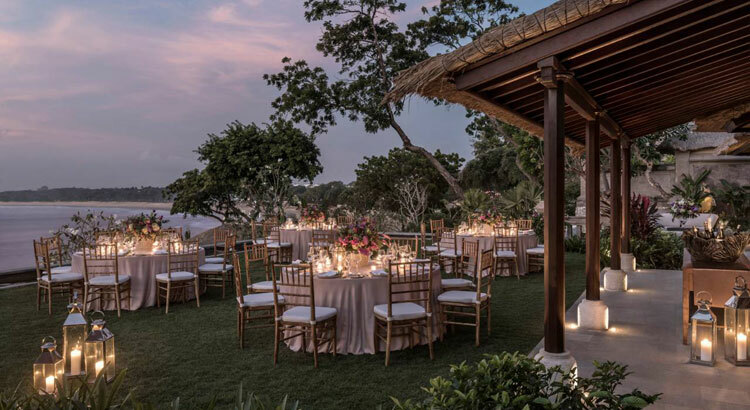 Overlooking bountiful botanical gardens with spellbinding ocean views, our Jepun Sari Pavilion offers bridal couples the best of both worlds – floor-to-ceiling glass doors connect the indoors to the out. 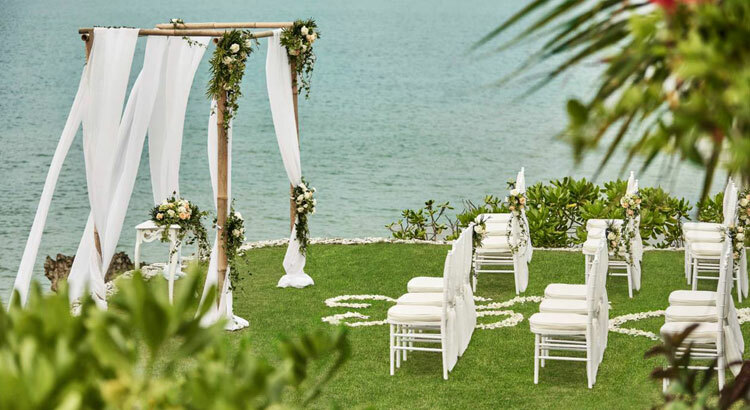 A romantic beach wedding on the pristine sands of our stunning Coconut Grove venue is a perfect way to experience your dream wedding. 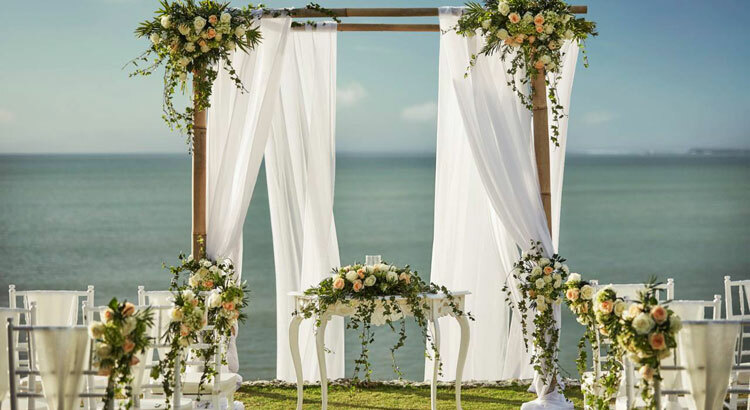 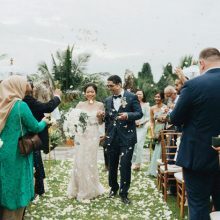 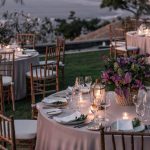 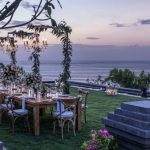 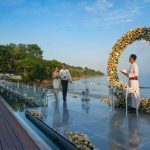 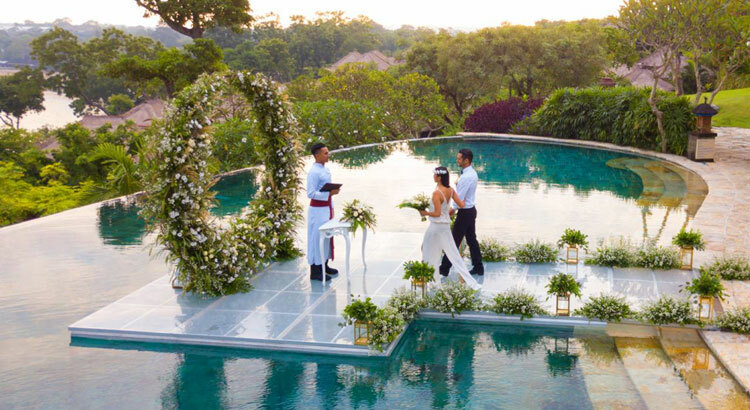 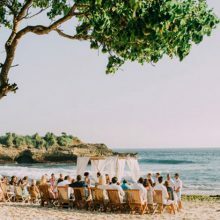 Whether you dream of a traditional Balinese wedding or a contemporary ceremony, whether it’s a lavish affair or an intimate ceremony for two, your wedding day will be effortlessly planned to perfection at Four Seasons Jimbaran Bali. 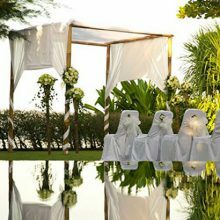 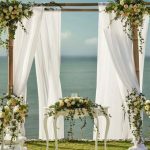 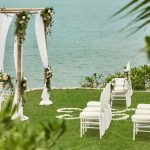 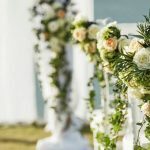 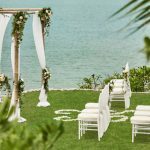 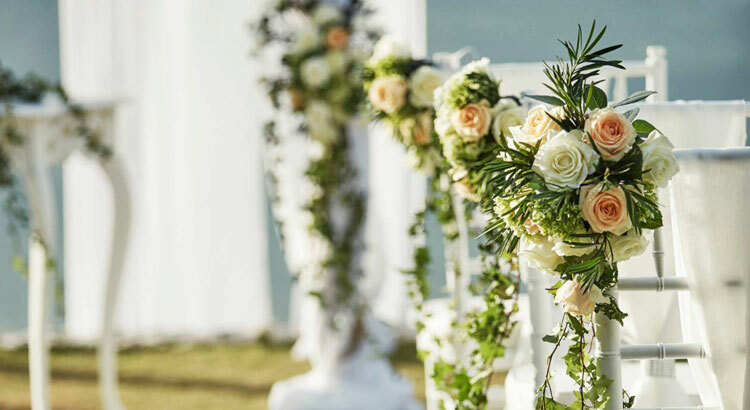 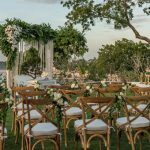 • Tropical floral decoration for ceremony areas, including altar flowers, flower arch, wedding ring pillow, wedding aisle and rose petal flower shower.